Last night was the 70th Annual Golden Globes hosted by Tina Fey and Amy Poehler. These two brilliant ladies did a phenomenal job. A true salute to girl power. I would love it if they were able to host my life. That would be more then fabulous. – Dennis Quaid doesn’t age. He still looks exactly as he did during The Parent Trap. He’s a complete DILF. Yeah, I said it. – Lea Michele had an obvious fake spray tan making her look like this. – Taylor Swift’s ice queen death glare to Adele when her song ‘Skyfall’ won was priceless. Is that the first time Taylor hasn’t won an award? She didn’t appear to be the most gracious loser. And ready for one more Friends reference? I know I wasn’t the only one who thought of this scene. – Jennifer Lawrence, all your fans on the internet have been calling JLaw forever. – Robert Pattinson looked like a lost puppy when presenting Quentin Tarantino with his award. He was just so shy and wasn’t sure how to greet him. I thought it was really cute! – Les Mis shouldn’t have won Best Motion Picture Comedy/Musical. – All the Leonardo DiCaprio jokes online. They could introduce a “Best Lead Performance as Leonardo DiCaprio in the Life of Leonardo DiCaprio” award and Leo still wouldn’t win. Kristen Wiig and Will Ferrel were the best presenters of the night by far. I was laughing so hard during their entire skit. I’ll post the clip right after I talk about Jennifer Lawrence since they present her with Best Actress in a Motion Picture Comedy/Musical and the video includes both parts. But that’s not when the cuteness stopped. Backstage in the pressroom Jennifer got confused on what to do and it was so adorable. Just like at the Critics Choice Movie Awards, Ben Affleck won Best Director for Argo. This is when you realize who The Academy snubbed big time. Especially after winning a Golden Globe now, it’s surprising that he wasn’t even nominated for an Oscar. One of the only consistent winners this season has been Anne Hathaway for Best Supporting Actress. No one else in that category even stood/stands a chance. I want to end this with how I really hate that Silver Linings Playbook is put in the Comedy category. Sure it may have it’s comedic moments but it’s a serious film. The issues dealt within the movie are not a joking matter. It makes it seem like mental illness is something to laugh about when that is far from what’s acceptable. Call me a bad fan for getting my hands on this masterpiece but I will be buying the album on October 22nd 2012. Now, I don’t know if you could really consider it a ‘leak’ when some stores actually had the album on their shelves today. Whoever uploaded the zip file online bought Red in stores. If you want to blame someone i’d blame the store not the consumer because no matter what the music would’ve ended online eventually. I’m not saying piracy is right but it’s out there and in some cases it actually helps to promote a celebrities album/music. Previously released singles from this album have been; We Are Never Ever Getting Back Together, Begin Again, Red, I Knew You Were Trouble. and State of Grace. You can purchase them by clicking on their names which will bring you to iTunes. I wonder when the genre of Swift’s albums will finally change from Country to Pop cause let’s be honest here, her albums are way more radio pop then country. Before hearing the full album Red was definitely my favourite song on the album because I felt it was the most country compared to the others. Not that I didn’t fall for We Are Never Ever Getting Back Together the moment I heard it. I was at camp and had no idea that she was even having a single released but I was up at 5:00am for University course selections and while I was waiting I scanned Twitter only to find that her song came out at midnight sooooooo I bought it and spent the rest of camp making sure everyone else heard it as well. This upbeat song has a catchy tune and sounds like a mashup of Carly Rae Jepsen and Ke$ha. Definitely something you could hear while partying in a club or on the radio as you’re driving down the street on your very first road trip. This beautiful song features Ed Sheeran. While i’m not sure if Swift and Sheeran’s voices mesh together the best compared to other songs i’ve heard before the lyrics have the ability to raise hairs on your arms or create chills down your spine. I happen to thing that this song is pretty damn perfect. Instantly, I took a liking to this song co-written with Dan Wilson. The soft melody could be a lullaby to put me to sleep, not in a bad way but because of how calm it makes me feel. I believe it’s really easy for anyone to connect with the lyrics in this song. There’s your friends who will tell you that you’re beautiful and they wish they looked like you but no matter what you just don’t feel that way. You don’t feel beautiful or lucky or worthy and it leaves you confused. Precious! That’s kind of all I have to say about this song. It reminds me of a nursery rhyme I may have listened to when I was younger to cheer me up if I was in a bad mood. And Taylor’s laugh at the end just warms my heart. I don’t know how Taylor manages to do it but she somehow always finds a way create words and scenarios that are parallels in your life this song is one of those examples. This solo write was one I was looking forward to and although I was expecting it to be slower and more melodic I wasn’t left disappointed. The song is mostly drum driven like The Lucky One. I’m not sure why but I’m not particularly fond of this song and i’m not sure what it is. I’ve listened to it a number of times and I love the lyrics but don’t think that highly of the rest of the song. The Last Time features Gary Lightbody Of Snow Patrol. My heart is broken. That’s the type of power this song has over me. These lyrics were ripped right from my mouth. I know i’ve pretty much said that about some of the other songs on this album but that’s what’s so great about Taylor Swift is that her music connects to so many people because we all have the same experiences under different circumstances. This song reminds me of a bunch of old rocks songs I used to listen to put together. I’m not exactly sure why but i’m in love with the beat. I’m pretty positive that this song is about Ethel and Robert F. Kennedy, there’s clues in the lyrics which make me think this. Sad, beautiful and tragic are three words that don’t belong together unless you want to be struck with heartbreak. This, this is one of those songs that will make you cry if you let it. If you sit in your room with the door closed, the lights off and nothing but the sound of Taylor’s voice to keep you company. Then you will cry. Taylor Swift killed it with this album! I am absolutely in love and already have it on repeat! And once again, I will be buying it when it comes out! 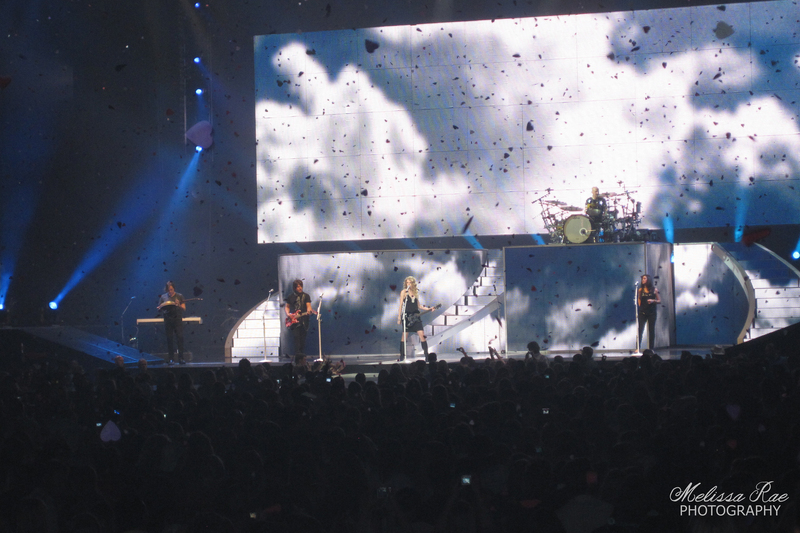 To see pictures from when I attended Taylor Swift’s Fearless tour back in 2010 go here. When Taylor Swift tickets went on sale I wasn’t able to get any before they sold out but about a week before my birthday my parents surprised me with tickets and I couldn’t have been more excited! The seats were in section 120 if you know where that is in the Air Canada Centre and they were closer then I ever could’ve imagined. I have to thank Pepsi and my dad for getting me the tickets! 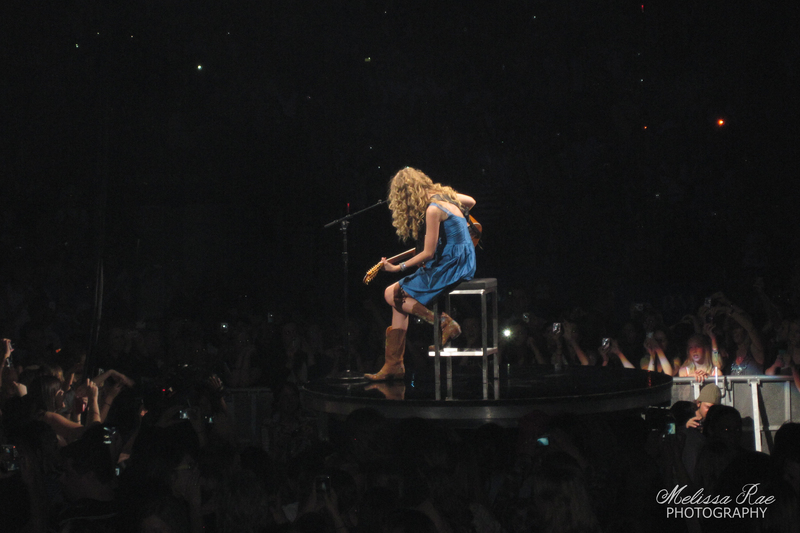 Taylor is beyond phenomenal live and I hope I have the chance to see her again soon or i’ll go into withdrawals.